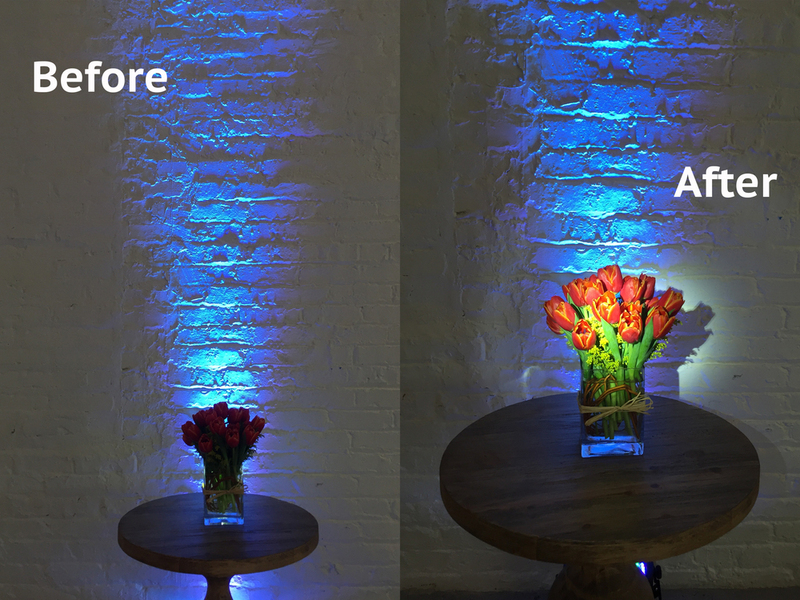 Example showing the effect of adding pin spot lighting to a floral arrangement. A pinspot is a small focused beam of clear/white light that you can use to highlight specific items in your decor. You'll want to rent 1 pinspot for every item you want to illuminate. Let's say you are lighting a wedding and there are 10 tables each with floral centerpieces + 1 wedding cake. You can rent 11 pinspots to cover the tables and cake (or 12 if you want to have a backup which is always a good idea). The pin spots are battery operated. No cables to deal with!